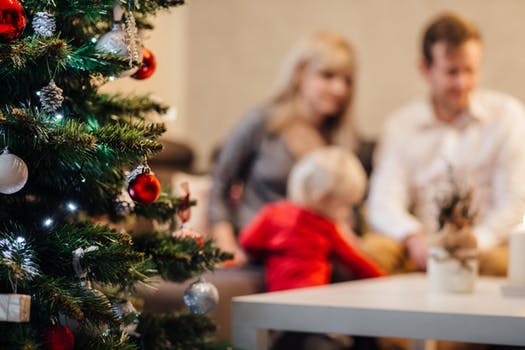 Stay Healthy this Holiday Season with Association Insurance Services, Inc.
With the holiday season right around the corner, there is always much to do. It may be the most wonderful time of the year, but it can also be the most stressful. There are get-togethers galore, events at the kids’ schools, office parties, baking and shopping to be done and the list goes on and on. Staying healthy during this busy time is so important, but many regular healthy habits can find themselves on the back burner. Enjoying this magical season can be difficult when you have a cold, a virus or just aren’t feeling your best. Follow these essential tips to help avoid feeling rundown. Stay Active – Often when we get busy, our regular exercise routines can get pushed aside. A daily walk with the dog is now rushing to the store for gift shopping. Or an evening trip to the gym is replaced with another holiday gathering. Keep your exercise routine in focus, and your body and mind will thank you. Not only is it good for your overall health, but it just might alleviate some stress. Make the time to stay active. Get Some Sleep – Now more than ever, sticking to your regular sleep patterns is critical. Try not to deviate from your usual bedtime by more than a half an hour. This may not always be possible but the more we are consistent with our sleep patterns, the better our bodies can function and fight off germs. Don’t Overeat – It’s hard not to find yourself carrying a few extra pounds at the end of the holiday season. It happens to most of us. An excellent way to avoid this is to plan. When you know you have a gathering on a particular day, try to eat a lighter breakfast and/or lunch. This will provide some leeway to indulge a little at the party. It’s also a good idea to position yourself away from the buffet filled with sweet and savory snacks. This alone can help you from continually return and filling your plate again and again. Focus on the people. Chat with them and enjoy their company. Your New Year’s resolution list will thank you! Limit Alcohol – All things in moderation is usually a good rule of thumb, and that includes alcohol. Large amounts can be detrimental to your health. Women should limit their drinks to no more than 2 per day and 10 per week and men should have no more than 3 per day and 15 per week. During the holidays we are often focused on others, which is a good thing, but don’t forget to take care of yourself. Find ways to ease your stress. Recharge your batteries with a walk around the block, a bubble bath, a good book or watch a movie. Do something for yourself that you enjoy. When you feel good, you are at your best and can enjoy every bit of holiday joy there is.